Ive been out of town with my girls this past week at a friend's cabin in Idaho. Four of us braved the getaway with all of our kiddos, fourteen in all to be exact and we were even missing three boys that had to stay behind for sports. Although it was crazy, we had the best time! I've been friends with these girls since 4th grade and when we see each other, it takes us back to the good old days except that we now talk about things like husbands, motherhood and life. I feel refreshed and ready to hit the blog full fledge. I'm hoping that I will be able to make 3-4 posts a week, especially with school starting. I've loved summer, but I'm looking forward to a routine again. Two of my loves have a nice spread in House Beautiful this month. This is one of my favorite magazines and it's the one I look forward to every month. The others I subscribe to are hit and miss but House Beautiful never disappoints. Sarah Richardson has been a long time favorite since watching her years ago on HGTV. 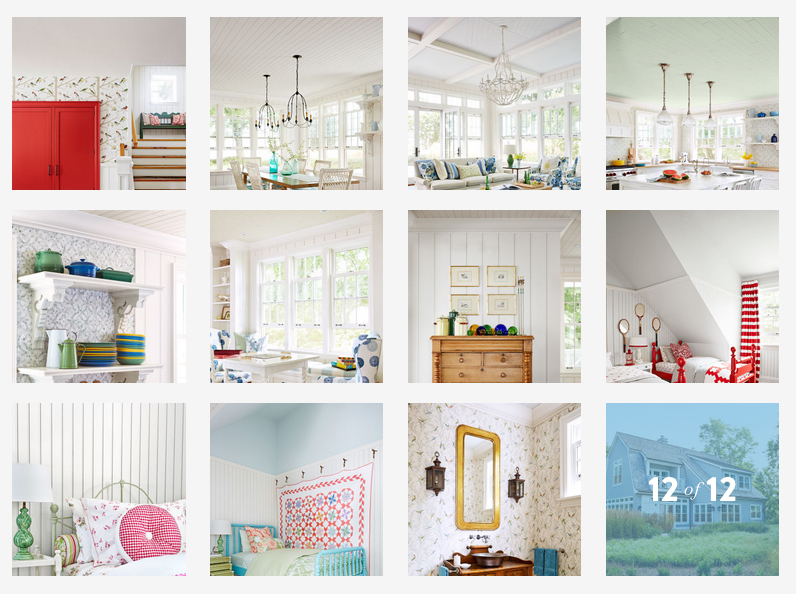 She has cottage lakehouse in this month's edition that has so much character! She always does such a nice mix of new, vintage, classy and color. Every room has the perfect color without going overboard. I absolutely adore her style. Sarah is a designer based in Canada and has hosted several shows on HGTV over the years. If you Google her, and pull up images, you'll see how amazing her work is. I also have several of her designs pinned here if you want to see more. I'm sure you'll fall in love with her too!